Your Stupid Minds is staying political with 1996’s First Kid. Haven’t you wanted to see what would happen if a snot-nosed child of the President of the United States teamed up with Sinbad? Your wish has come true! Luke Davenport (Brock Pierce) is the teenaged son of the president. He doesn’t get along with his current Secret Service agent, so Sam Simms (Sinbad) is assigned to his detail. 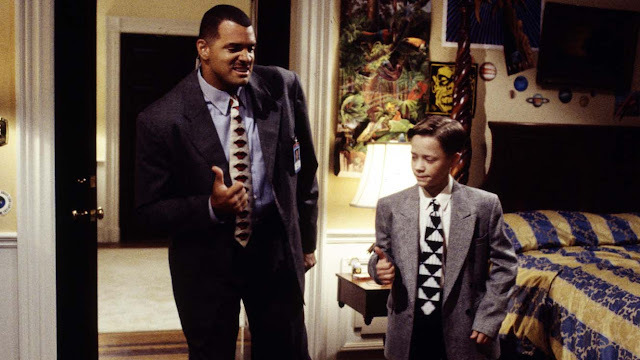 He sneaks him out of the White House, teaches him how to fight against prep school bully Rob (Zachery Ty Bryan), and gives him the moves to get the girl. Is it really FDR on the dime? Or is it Harry Truman? This movie exists in an alternate universe where Bill Clinton loses the 1996 election but is still on good terms with the candidate who defeated him. If someone is named "moongoose12" in a snake-themed chatroom, don't trust that person. All First Kids had a secret cry hole.